We recognise that coal is the most damaging of fossil fuels and that its ongoing use is causing catastrophic climate change. We aim to achieve a coal-free Aotearoa before 2030, initially by opposing the expansion of coal mining. We do this work to play our part in sustaining a liveable climate for us, our children and grandchildren, and those who follow them. ACA’s strategy is to mobilise people to become active in working towards a coal-free Aotearoa, with a focus on stopping new coal mines – such as the Mangatangi Mine at Mangatawhiri, near Auckland. We emphasise the importance of phasing out coal in avoiding catastrophic climate change. There are abundant reserves of coal remaining worldwide, accounting for 79% of the total potential for global carbon emissions. We simply cannot afford to burn more than a small fraction of these reserves. Unless coal is phased out entirely, all our best efforts at reducing carbon dioxide emissions will fall short of what is needed to avert runaway climate change. In other words, we must keep the coal in the hole! Auckland Coal Action was formed in July 2011 following the visit of leading climate scientist Dr James Hansen. Dr Hansen made a clear an compelling case for the need to phase out coal, and motivated our members to form an Auckland group to work towards a coal-free Aotearoa. A similar (but much shorter) talk to what Dr Hansen gave in Auckland, is available here. For those of you who like to get your news and event invitations via Facebook, please ask to join our Facebook page. 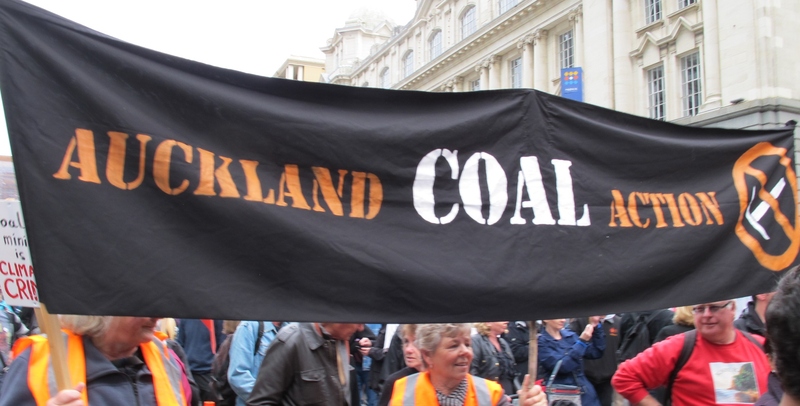 Auckland Coal Action is one of the regional groups associated with Coal Action Network Aotearoa (CANA). While CANA organises the national campaign, the regional groups set the agenda for each of the areas in which they operate. We are autonomous groups working towards the same objectives, and share both information and resources.